If you look at FHA mortgage guidelines, or at articles online, you will see that the minimum credit score for FHA is either 500 or 580. 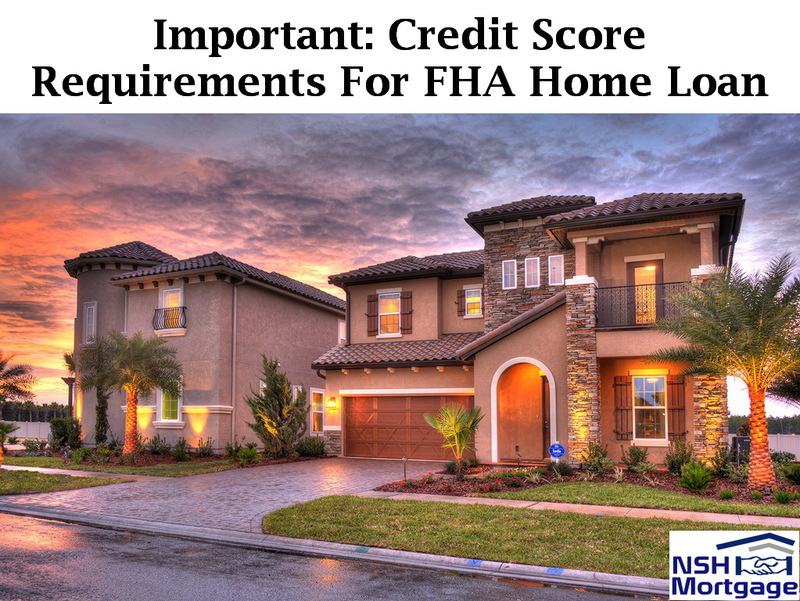 Important: credit score requirements needed to get a FHA home loan. NSH Mortgage has the wisdom and tools to help you meet these credit score requirements. Can You Really Get A FHA Home Loan With A 500 FICO? The short answer is, yes, you can. However, you must learn the distinction between low credit scores and bad credit score. You can have a low credit score through no fault of your own. You might be young with a short credit history. Or you might just not use credit. Alternatively, you might use what looks like too much credit, although you pay your bills on time. Those scenarios are different from those in which the applicant does not pay bills on time, or at all. You might get an approval with low scores if your actual credit history is not terrible. Realistically, only about one percent of FHA approvals go to applicants with FICO scores in the 500 – 549 range. In addition, predicting a borrower’s future actions. Borrowers who have made payments on previous and current obligations in a timely manner represents a reduced risk. Conversely, if a borrower’s credit history, despite adequate income to support obligations, reflects continuous slow payments, judgments, and delinquent accounts, significant compensating factors will be necessary to approve the loan. Having no traditional accounts should not keep you from getting a FHA loan. FHA guidelines have a lack of credit history, or if the borrower’s decision is not to use credit. Which may not be used as the basis for rejecting the loan application. The lender simply compiles a non-traditional credit report using utility payments, rent, even a series of regular deposits to savings. This shows if you are managing debt responsibly or not. Finally, no collection accounts or court records reporting, other than medical, filed within the past 12 months. When you have no traditional credit, you have to be more aware of collections, bounced checks, and other dings. That is because they will have a disproportionate effect when are no other accounts to offset them. While the FHA allows lenders to approve loans with low FICO scores, it does not require them to. FHA lenders may require minimum scores ranging from 600 to 680, even though the FHA’s own guidelines are more flexible. This practice is called a lender overlay. Does the FHA protect the lenders against losses? Yes, FHA mortgage insurance premiums, paid for by borrowers not taxpayers, which cover lenders if borrowers default. However, if FHA lenders have too many claims against FHA insurance, they can lose their FHA approval. In addition, it does not matter if the bad loans were underwritten in exact accordance with FHA guidelines. FHA loans comprise a large part of many lenders’ business, so no lender wants to lose its approval. That is why lenders add requirements to minimize the chance of mortgages going into default. One reason that lenders were so hard on applicants in the past is that they had more business than they could handle. So there was no reason for lenders to approve less than perfect applicants. As rates rise, though, lenders tend to lower their standards somewhat. Median credit score requirements of approved mortgage applicants have been coming down steadily over the years.